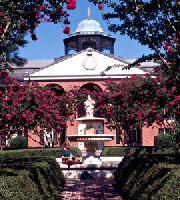 Just five miles north of Greenville is FURMAN UNIVERSITY, a private liberal arts university founded in 1826. It has about 3,200 under-graduate and graduate students. 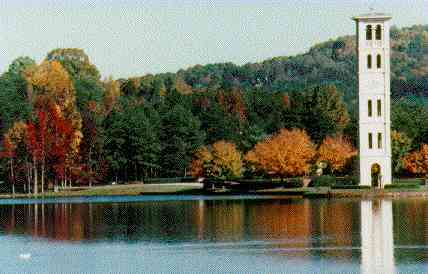 Furman sits on a 750-acre campus with a lake and bell tower. There are 36 major buildings including a 479,000-volume library. 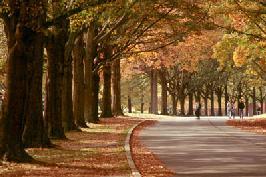 Let's park the Chevy and take a leisurely stroll around campus. It's such a lovely day. Here we are at the main gate. We'll find a parking space for the Chevy. Everyone have their walking shoes on. Oh, an interesting note here is this gate was designed by Perry Dean Rogers and Partners of Boston, MA. This is the same firm that restored Colonial Williamsburg, VA. Completed in 1997, this 50,000 square foot building serves as the Psychology Department. Richard W. Riley Hall houses the University's Department of Computing and Information. Lake Housing is actually seven residence halls under one roof. The complex houses 780 students. 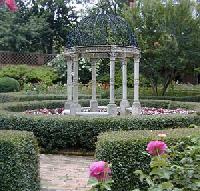 Named for a prominent supporter, the Janie Earle Furman Rose Garden features 800 rose bushes of 21 different varieties. 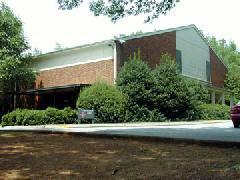 This is the Intercollegiate Athletic Building. The sports medicine office is located here. Timmons Arena seats 5,000 for basketball and volleyball and even more for concerts. The picnic area is a great place to stop for a rest. It overlooks Furman Lake. Milford Mall is the central road for pedestrians and automobiles, The speed limit here is 25 mph, strictly enforced. North Village Residential Complex, which opened in 1998, houses upper classmen in spacious apartments. 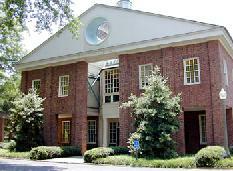 CHERRYDALE is the university's Alumni House. 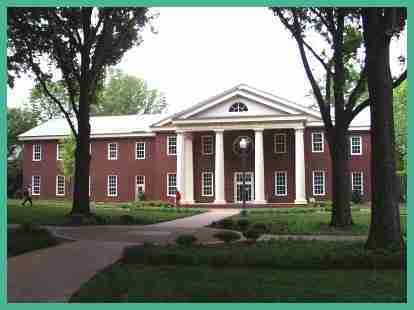 The 5,000 square foot antebellum mansion was moved to the campus in 1999. It was the former home of James C. Furman, the university's first president (1859-79). Well I see we've worked our way back to the main gate, where the Chevy patiently waits. Isn't Furman a lovely campus. If you'll click on the gate, we'll make our final visit to South Carolina.